Nothing But Thieves: the infamous five-piece from Southend that have gone from supporting Darlia at The Garage in London, to supporting Muse at Rock In Rome. It’s been one hell of a journey over the past year, what with gaining high critical acclaim all over the globe, playing a vast array of national and international music festivals, as well as getting ready to release their own record. Now, after releasing single after single, it’s time for Nothing But Thieves to step up to the plate and release their highly anticipated debut album. 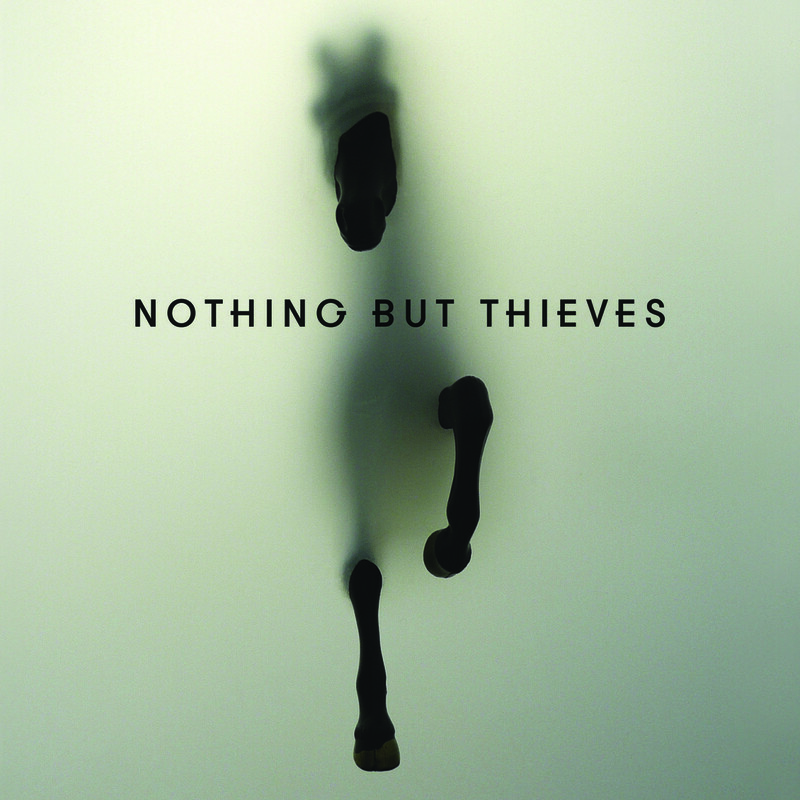 True to the bands ethos, Nothing But Thieves knows no boundaries and easily sky-rockets the likelihood of their success even further into the stratosphere. Addictive and airwave-friendly would be a quick way to describe Nothing But Thieves; but that wouldn’t do the record nearly the justice as it deserves. For the vast majority who are aware of NBT, it’s thanks to their show-stopper single ‘Itch’ that was released in March earlier this year. More often than not, bands with such great singles seem to struggle to back it up with an extraordinary album, but every track here has the same bite and spark that made ‘Itch’ so special. The eerie, ‘Excuse Me’, opens up the record with a bang, seeing Nothing But Thieves easily undertake a solemn tone that remains beautiful and pure throughout. “Excuse me while I run / I’ve really gotta get out of here,” sings vocalist Connor Mason amidst the mystical concoction of rock guitars and chilling backing vocals, flaunting the band’s song-writing talents. As well as Mason’s phenomenal vocal range; Nothing But Thieves have an impeccable talent in diversifying their sound without making the record sound incomplete or disfigured. ‘If I Get High’ and ‘Lover, Please Stay’ become the musical equivalent of a warm cup of tea on a crisp winters day as Mason’s vocals beautifully demonstrate the compassionate side of NBT whilst the guitars and drums take a back seat and let the lyrics do the talking. ‘Hostage’ takes another unexpected turn with the addition of electronics and an undeniable funk and soul sound that drives though the track. Adding electronics to rock isn’t necessarily something new to modern day rock bands, but it gives the band an extra dimension, preventing their sound from becoming boring and repetitive. Ultimately though, nothing sounds better than when Nothing But Thieves channel their inner rock demons, as shown in ‘Drawing Pins’, as they reel out intelligent and infectious rock, accompanied by a sensational classic rock riff. Dip into this record at different points and another side of Nothing But Thieves will be on display; but what will always be evident in this record is that this band are onto something big. Their fruity basslines, addictive hooks and unforgettable choruses have carved NBT into a band for the masses. With this debut album up their sleeve and an already impressive reputation for live performances; Nothing But Thieves are unstoppable.